* CS Lewis (Mere Christianity, all sorts of other works). Different things brought them to Christianity: the story of the resurrection, the appearance of design in the universe, general views about true myths and Christians making more sense. 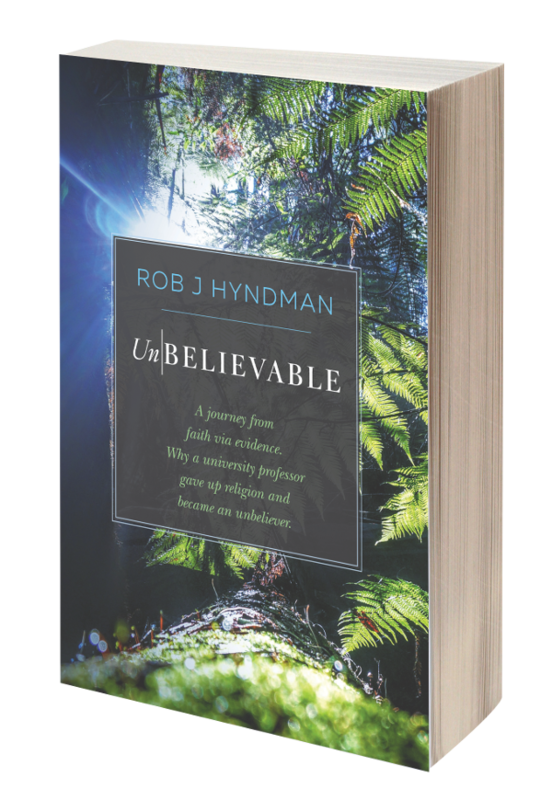 Just curious for thoughts: What makes them more likely to write apologetics books? That because they were convinced by these arguments everyone else should be as well? Note: I'm not suggesting that because some have moved from atheism to Christianity it must be right. I find their conversion stories uninspiring. I guess I've always seen apologetics as intending to shore up the faith of long-time Christians, and so it was a surprise seeing that done by former outsiders rather than long-time Christians. How did I find this page? I thought I remembered it being there, so I asked Google and it found it for me. With the apologetics, like you I assumed it was to bolster weak faith. But that doesn't really fit with those who have been converted writing about their conversion stories. There must have been something there to make them choose to convert. As I said, I am unconvinced by those stories, but I don't doubt their sincerity. I guess it's possible that these apologetics books are more popular to support weak faith because of that same reason ("seeing as it converted them, it must be true, despite my doubts"). Thanks Steve, those provide helpful thoughts to go on. And no, I won't view you as too dismissive because that's the direction my thoughts are going too. I gave up on cognitive closure a long time ago (though parts of it sound very appealing). Also of interest is that none of your explanations give why you would convert specifically to Christianity. Though maybe if you have convinced yourself to believe a god it's more likely to be the god of your friends or of your culture. I've also been thinking about point 4 in the context of the historicity of the New Testament. Saying none of it is historical is the easy way out, but feels like it's going too far. However, if for example it is fact that Paul converted from hard-line Judaism, something must have changed, whether dramatic experience in reality or in his mind or just pure and simple disillusionment with his role (I read a novel a few years back which thought it might be light reflected off a roof, and then portrayed Paul as arrogantly confident of his divine calling while those around him were less sure he knew what he was doing. Probably partially drawn from his account in Galatians). I think Proverbs 18:17 is absolutely true. While I think many apologetics books are painful to read, there are also many that in isolation read very persuasively. Similarly, there are many skeptical works that read very persuasively and advocate completely opposite viewpoints. Then the fun is trying to decide where the truth actually lies, and if a persuasive argument is false where the cracks in it are. For me, changing allegiances just means having different persuasive arguments to try and understand. Switching from "Is the Christadelphian view of this problem passage more credible than the trinitarian's view?" to "Is the apologetics view of this event more credible than the skeptic's view?" Or even "Is this view of what will make the economy work more credible than that view?" As far as I can see there are many more deep and complex worldview questions than I can ever expect to completely comprehend, so I have to accept some uncertainty. Much as I love trying to understand what makes the world tick. JJ, The way I now look at all of this is, that I was born of two CD parents, and brought up (indoctrinated?) into the CD beliefs and community, which I accepted, became baptised, argued with work colleagues, became a Conscientious Objector, became a Sunday School teacher and CYC leader, took part in (wholeheartedly) preaching campaigns, at home and elsewhere, took on wide ecclesial duties. I ended up at an ecclesia that was dead from the neck up. This was the reason why I stopped going, and caused me to think that "How can this be an outworking of those who have THE truth?" And eventually I was disfellowshipped for "long continued absence", during which I was in a sort of limbo of thought. As the absence progressed I became detached from CD thinking, and started thinking for myself for the first time in my life, rather than the parrot-fashion thinking as I`d been indoctrinated into. I then gradually began to examine what I`d been taught without the feeling that "God" was looking over my shoulder and knowing all my thoughts. Very little of what I`d been taught and accepted seemed to add up. I then began to examine in detail various events and statements in the bible, and I found that they didn`t add up either. It was only because of the separation from the continual and regular confirmation of CD thought that allowed my brain to be normalised and to settle to examining facts, rather than be submerged in the thoughts of indoctrination. I`m very glad that I was separated from the CDs, because I doubt if I`d not been I would never have been able to understand what I consider to be a wrong and dangerous understanding of what the bible is really all about. Dangerous because it leads, particularly, young people into a path of life which is a path which stops them from pursuing careers and pursuits of a worthy nature, it stops them from pursuing relationships with those "out" of the CD circuit, it colours their life with a hue that is a false hue. They may end up feeling "happy" in it. But they are not, in my opinion, in the truth of reality.